The recent downturn in equity markets has hit retail investors in a big way but the benchmark equity indices understate the losses suffered by them. 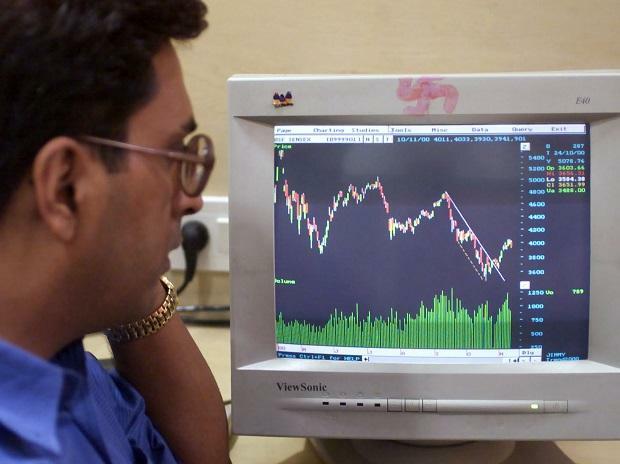 The Nifty50 index is down only 7.5 per cent from its August 2018 all-time high but retail investors — those with investments of Rs 2 lakh or less in a company — have lost nearly 30 per cent of the gains they made in the mid- and small-cap rally of the previous two and half years. Last week, Tata Sons Chairman N Chandrasekaran took steps to get over 1,000 subsidiaries within the group to synergise and to scale up key verticals. This was part of the holding company’s broader plan to simplify business operations and focus on high-growth areas such as consumer and retail. Retail, in particular, has been one segment where the group has been measured in terms of its outlook. In two decades since its start, Trent’s flagship apparel chain Westside, for instance, has only 125 stores according to its 2017-18 (FY18) annual report. Latest Westside store count is not available. Read more here. A fortnight ago, he took the plunge, booking the XZ variant of Tata Motors’ new Harrier. “I did not want to compromise in any way, be it safety or creature comforts. I was anyways getting it financed so I didn’t mind stretching the budget,” said Patil, a media firm executive. Read more here. The elevation of Gaurav Gupta as co-founder comes at a crucial time as Zomato is on the brink of raising fresh funds from various investors, including tech giant Alibaba and Delivery Hero, they said. Read more here. As a result of steady growth, deep penetration, and its Tata brand equity, Titan is on track to the meet the company's stated 5-year vision of growing 2.5 X by 2023. Read more here. Learning is about to get less mundane as popular cartoon characters like Mickey Mouse and Donald Duck, among hundreds of others, will soon be teaching math and science. Byju's, the unicorn Indian start-up that recently became the world's most-valued edu-tech firm, is bringing popular cartoon characters to its learning platform through licensing deals, with top media production houses globally, the company said. Read more here. Successive rate cuts and revenue shortfall have dominated the debate on GST. Read more here. Tata Consultancy Services Ltd (TCS) does business without much fanfare and is set to record $20 billion in revenue in the year ending 31 March. Yet, few people outside the company understand the secret sauce of India’s largest information technology (IT) services company. Unlike what most management gurus will prescribe, TCS believes in building tech and grooming talent in-house rather than acquiring firms or hiring people from outside for senior roles, Livemint reports. The government is considering issuing skill vouchers or skill wallets to incentivise youths to undertake skilling programme of their own choice. The vouchers can be used to pay for skill training at any of the approved skill providers, a senior government official told the Economic Times. India’s hydrocarbon space will test the patience and policy consistency of the government of the day in the coming years as the country’s exploration policy enters a transition phase. Life of the New Exploration Licensing Policy (NELP) regime may remain only for the next 10-15 years, as the country’s entire oil and gas exploration as well as production business is shifting to Hydrocarbon Exploration Licensing Policy (HELP)-Open Acreage Licensing Programme (OALP), the Hindu Businessline reported.